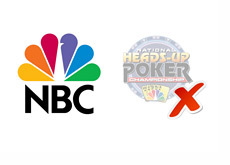 Heads-Up Championship Another Victim of "Black Friday"
According to Wicked Chops Poker (link below), NBC will not be airing the National Heads-Up Poker Championship in 2012. Many popular poker TV shows have been canned or indefinitely put on hiatus as a result of "Black Friday". Rooms that formerly serviced the US market are either out of operation for the moment (Full Tilt Poker) or are no longer able to target US players. 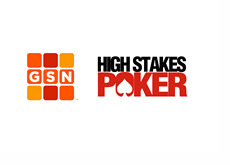 A number of poker TV shows mainly targeted the US market, which has resulted in many productions being shut down. Shortly after "Black Friday", a number of major TV networks immediately announced that they would no longer be airing poker shows thanks to the legal situation in the United States and the indictments of Pokerstars, Full Tilt Poker and UB/AP. The fates of other popular poker TV shows, including "Poker After Dark" and "High Stakes Poker", haven't been formerly announced as of yet. "Poker After Dark" is almost certainly toast (it was a Full Tilt Poker creation), while "High Stakes Poker" is likely to be cancelled/postponed as well. Don't be surprised at all if the National Heads-Up Poker Championship is quickly resurrected after online poker legislation is finally signed in the United States. The only difference is that the show will likely be sponsored by the Caesar's online poker room or something similar.